I have decided to change Pixie and Roxy’s food to a better healthier brand. They have been going off there food for some time now, and it was a matter of time until I changed their diet. I have done a lot of research into different brands and what is healthy and what is not healthy in your dogs diet. Such things like having animal fats or poultry fats is not seen as a good product. Whereas things that have turkey fat or lamb fat is seen as a good product because it states the exact product. Also things that have fresh chicken/lamb instead of meat and animal derivatives is also better. Animal fats and animal derivatives could be made up of any combination of ingredients. You will have no idea what animal meat of fats is in the kibble. For me I prefer to have the healthiest of foods for my dogs and only the best. All natural ingredients with enough nutrients and vegetables in it to sustain a healthy diet. We have changed from James Wellbeloved to Lily’s Kitchen. I have always wanted Pixie and Roxy to be fed Lily’s Kitchen but it was a question of could I afford such a healthy brand? When I worked it out, I always put a certain amount away for food a month but I never use all of it because James Wellbeloved was always on offer so I always saved money. With Lily’s Kitchen I never find it on offer, different websites may have it cheeper than others but with what I put away a month I could afford the same amount of Lily’s Kitchen to James Wellbeloved. I just wouldn’t be saving any money. 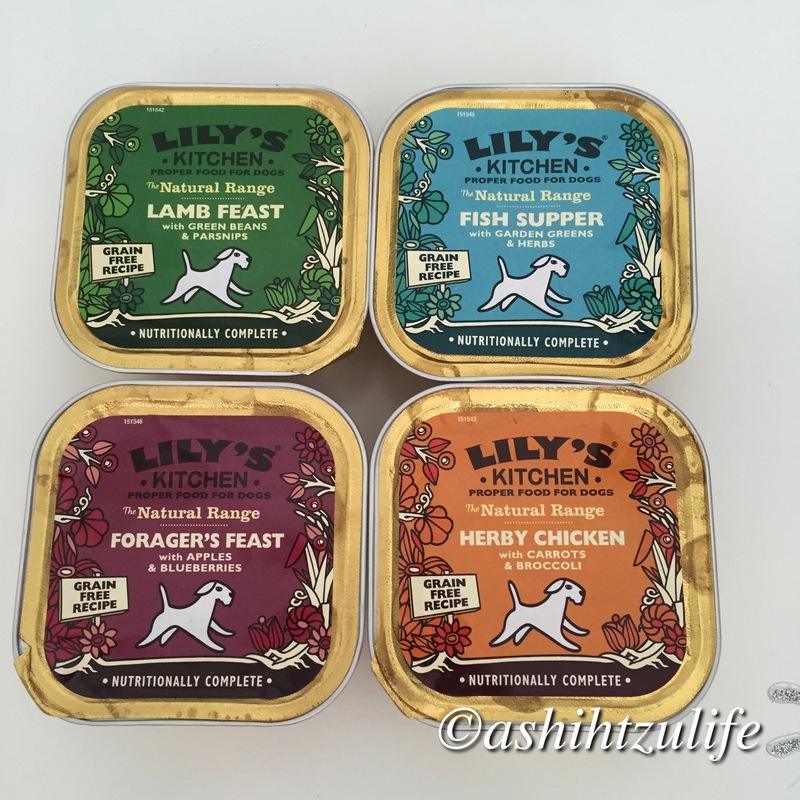 Lily’s kitchen offers natural, delicious and wholesome food for dogs and cats. It provides nourishing ingredients for a balanced nutritious diet. They have 4 different flavours of dry kibble which include – chicken and duck, lamb with peas and parsley, woodland walk with venison, duck and salmon and lastly organic chicken and vegetable bake. They also have a wide range of wet foods with a lot of different flavours we have tried their organic range and we are now trying their natural range. We do not use wet food as a meal, we use wet meat as a treat every once in a while as a special treat so we don’t need to buy them all the time. I find this healthier than other brands of wet food. The wet food comes in trays (150g) as seen above, 200g tins or 400g tins, as my dogs are small they would benefit more on the 150g or the 200g tins. As they would get half a tray each with a handful of dry kibble as a treat. The dry food is available in 1kg, 2.5kg or 7kg bags. 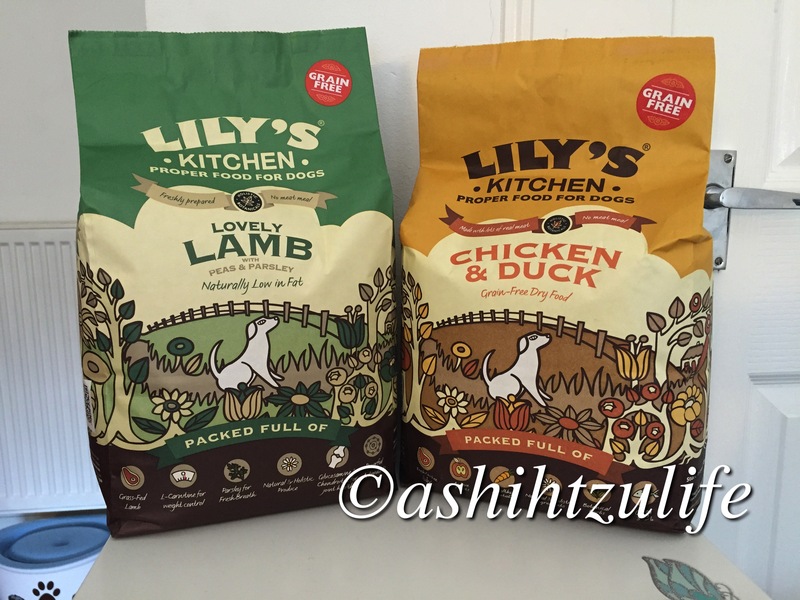 We purchased two 1kg bags from our favourite pet shop Pooch Pantry in Troon and we purchased two 2.5kg bags online at Lily’s Kitchen. Unfortunately I cannot buy this brand in our local pet shop so I would need to buy online or travel a distance to buy it. I am hoping that this will last us a month, it is a trial as we are just starting on it and my next order I hope to purchase three 2.5kg bags and hopefully that will be enough to last the month. I would benefit from buying one 7kg bag but Pixie and Roxy enjoy a variety and like a different flavour for breakfast and dinner. 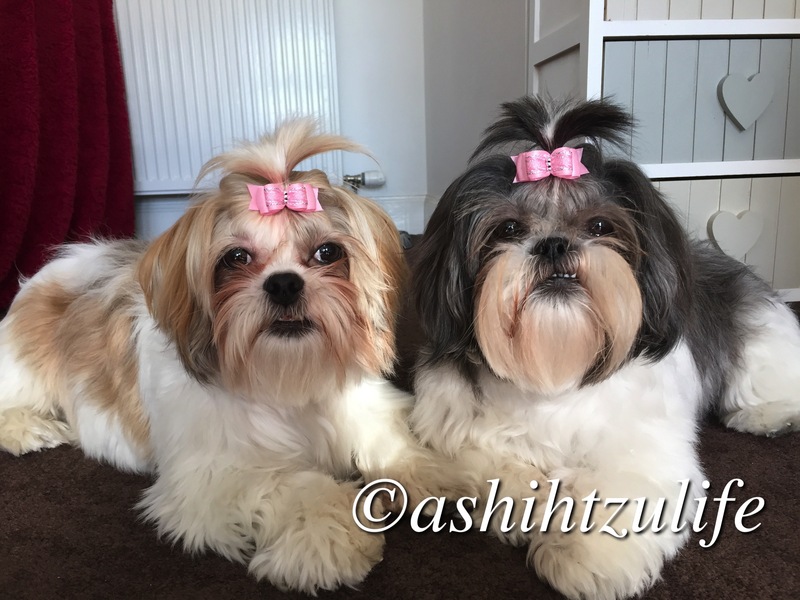 I am excited to try Lily’s Kitchen as I find it the most healthiest food for Pixie and Roxy to be on and I cannot wait to see the changes in there body. The main benefit is the kibble is grain free which can help with tear staining. I have already noticed some differences but I think I need to give it more than 2 weeks to see better results. Stay with us and I will keep everyone posted on how Pixie and Roxy are doing on the new diet.